This charge is a class one misdemeanor with maximum penalties of one (1) year in jail, a fine of up to $2500 and further loss of your privilege to drive that can range from a very short suspension up to an indefinite suspension. In certain circumstances this charge can even be elevated to a felony offense with mandatory jail time of a year. There are several reasons that you may lose your right to drive. In addition to a suspension for driving offenses these suspensions are frequently incurred for non driving offense both civil and criminal. Among the common reasons for suspensions for non driving related causes are Child Support issues, Failure to Pay Fines and Court Costs, Convictions for Drug Offenses and Rapid Point Accumulation through the Department of Motor Vehicles. In addition there are two (2) general categories of suspensions and revocations. The first is charged under the traffic code (46.2-301) and involves most of the reasons listed in the previous paragraph. There is a second specific code section (18.2-272) that deals with suspensions given for convictions of DUI/DWI. These are dealt with differently and usually more harshly than suspensions given for other reasons. 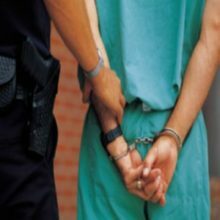 In addition to the charge itself and any penalties you may be given, you may also be charged with a violation of probation on the original DUI/DWI charge which is a different charge and carries additional penalties. There are a number of defenses to this charge. Among the most common is Notice. Notice issues are those in which there is a question of whether you were properly notified that your license was suspended. Another issue that may arise is whether the Officer who stopped you did so by running a tag number and stopping the car without checking to see if the person driving matched the description of the person suspended. This is referred to as the articulable suspicion for the stop. In addition there are other specific issues that may arise and would have to be addressed on an individual basis. Your driving record may be a crucial factor in determining whether you will be convicted of this charge or whether the charge might be reduced. Generally, the worse you’re driving record the worse the penalty for a violation of this section. This is particularly true in cases where the offense is a second or subsequent offense of the same nature (Multiple Convictions for Driving on Suspended or Revoked License). Careful negotiations are needed in these cases to minimize the penalties imposed. Many of these cases can be successfully defended or resolved by reducing the charge to one of No Drivers License which is a lesser offense.